If you were to slip and fall in a grocery store, retail outlet, laundromat, or even a department store, you may wonder if you have a valid slip and fall claim. People constantly slip, trip and fall, but not everyone has a valid case against a store, and not all slip and fall accidents are due to negligence. In these types of lawsuits, the property owner and victim are held to varying degrees of responsibility – also referred to as comparative fault or comparative negligence. This is based on the store owner and/or manager’s obligation to maintain a safe property for their patrons. The victim also has a duty to practice reasonable discretion when walking through the store, meaning if they see something that is obviously going to harm them, they avoid it. To sort out the comparative negligence in these types of cases, a personal injury attorney is needed. The owner or employee had a responsibility for a dangerous surface that was exposed during a slip and fall injury – whether that is a spill, torn carpet, or other dangerous surface. The owner or employee of that establishment knew the danger existed, but they did not do anything about it. The owner or employee of that establishment did not know about the dangerous situation, but should have known that it was hazardous to those in their establishment. Any reasonable person in charge of the property would have seen this hazard and corrected it. Was there a danger present and was it present long enough to be considered negligent? Was there a procedure in place that the property owner uses to maintain a safe environment? Is there legitimate reason for the object or substance to be present where you were injured? Were you in any way at fault for the accident as well? Did the business owner neglect to post a warning about any dangers? 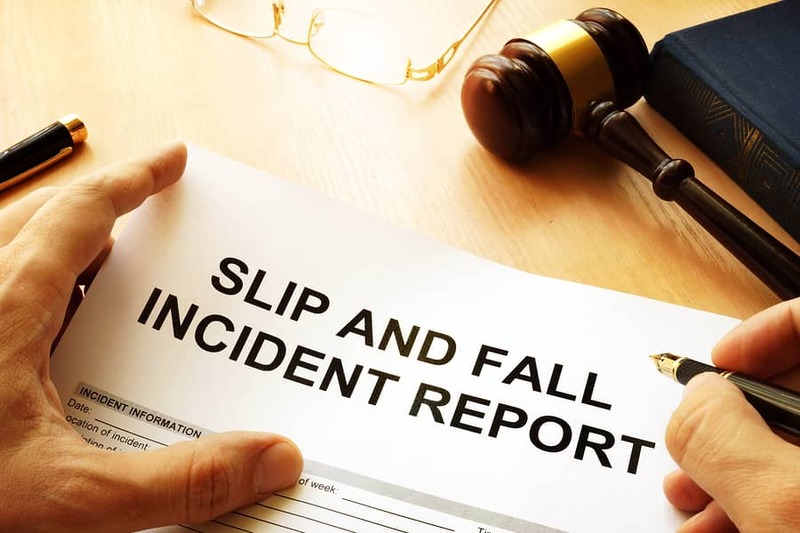 Because slip and fall injury claims are so complex, you will need to speak with a Miami personal injury lawyer to help determine if the owner is at fault for your injuries, and to what degree their negligence is responsible. To assess your case, contact slip and fall lawyers Shamis & Gentile, P.A. for a no obligation consultation at 305-479-2299 or fill out an online contact form with your questions.